This nine month journey is designed for boys/girls and their families who are not ready or able to make the commitment asked of them for the three year Coming of Age rites-of-passage; Tenders of the Inner Tide and Warriors of the Noble Heart. The Explorers journey is an opportunity to initiate new friendships, to bond with the natural world around us, and learn about our roles and responsibilities as stewards of the greater web of life. We explore together new and ancient wisdom of what it means to be fully human, awake and aware of the challenges that lay before us, and the lessons of our past, while fully experiencing the present moment. During Explorers we touch briefly on each of the themes that comprise our lengthier Mentorship journeys; exploring our relationship to how the elements of our environment shape who we are as unique individuals, how together we create community, and how each of us influences the planet as a whole through our daily actions. All this is done through opening up our senses more fully to the world around us, engaging our bodies, our minds, and our souls through open and guided exploration of the majestic lands that surround us, including the ocean, mountains, wetlands, and waterfalls, as well as intentional communities, organic farms, and permaculture education centers. Seasonal potluck gatherings and bi-monthly sharing circles will provide an opportunity for participating families to strengthen community bonds and friendships among the children. We will complete our year together with a two day, one-night camping trip. All parents and siblings are welcome and encouraged to join us for the overnight. 1) Bi-Monthly Gathering & Sharing Circle (October, November, February, and April) – Every other month, the boys and girls groups will gather separately for two hours on a Thursday evening. These circles are an opportunity to share in deeper questions and conversation, challenges and games, as well as free form socializing. Each gathering will be hosted by one of the participating families and will provide a sacred and safe space for exploring the questions that are most alive in our hearts and minds as facilitated by the children’s mentor. One adult guardian is invited to join us for each of the gatherings. Our first gathering, coinciding with the Autumn Equinox will be a welcoming ceremony, in which both parents and siblings are encouraged to join. During the last gathering of the school year, parents will have the opportunity to share some of their own stories and wisdom with the group. 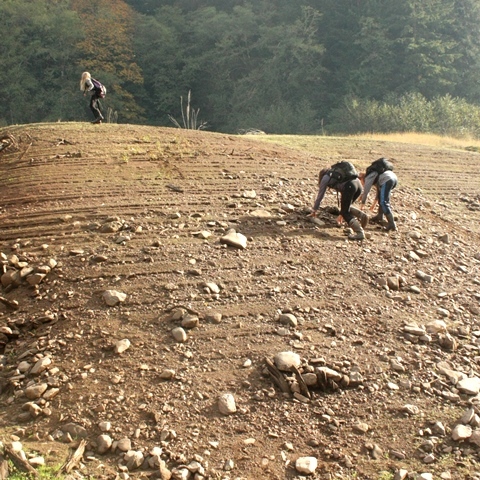 2) Bi-Monthly Nature Excursions (October, January, March, and May) – Once every other month, we depart from Eugene for a terrain with diverse qualities, each place offering unique lessons and opportunities in our exploration of self and environment. During our time together, we will learn about local flora and fauna, including poisonous plants and dangerous animals, and about the ways various people of the past and present interact with the land, attuning our bodies and minds to the lessons that surround us as we learn to listen deeply. Outings are a full day, 9am – 5pm and take place on Saturdays. All trip locations are located between thirty and ninety minutes from Eugene. Transportation will be provided, though we may ask for volunteer drivers. 3) Seasonal Potluck Gatherings – During months that our excursions are not already planned, participant families are encouraged to create space to build community in a wholesome and intentional way through sharing meals and other activities. The format and duration of each of these gatherings will be determined by the hosting family, in agreement with all participant families. (These events will be free of drugs and alcohol and the use of any electronic media). 4) Year End Overnight Camp Out (June) – At the end of the school year, around the time of the Summer Solstice, the Explorers and their families will come together for an overnight camping adventure to celebrate the accomplishments and growth of the past year. The boys and girls will share with their community about what they have learned, as well as undergo age-appropriate challenges to help develop greater patience and confidence in service to their families. There will be a ceremonial closing to our year on our last morning together. In order to provide the richest possible experience for all participants, application is required. Program enrollment will be limited to six boys and six girls. Individual and small group mentorship opportunities will be offered for any children not selected for this particular journey. Scholarship Our scholarship program is designed to provide greater access to nature education for those in need. You can fill out a form online, or give us a call to discuss your situation. 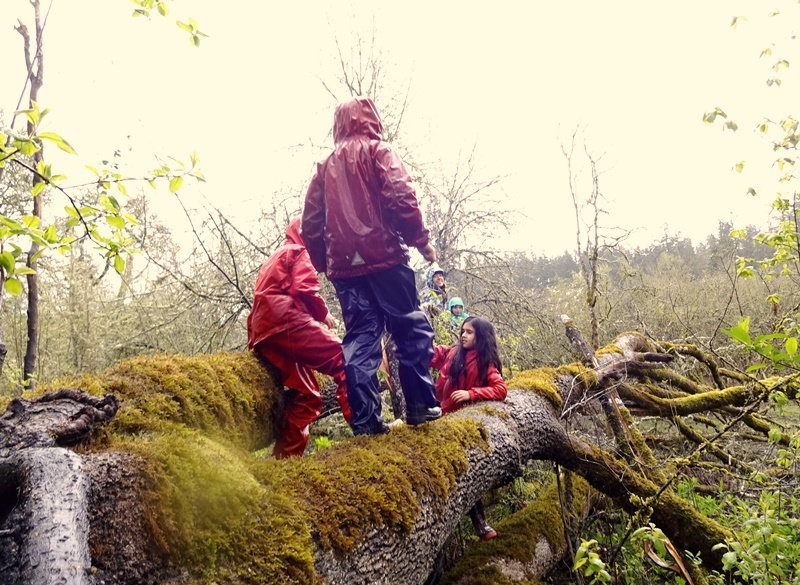 If you are able, please consider donating toward providing financial assistance to families who would otherwise be unable to attend and creating more nature immersion opportunities for the children of our community! Please mail a completed application along with a 25% deposit check ($168.75) (non-refundable upon acceptance) to Nature’s Mystery P.O. box 741 Cottage Grove, OR, 97424. Your check will be held, uncashed, until acceptance.